So how did it all begin? 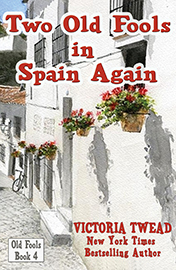 What happened before Victoria met Joe and they embarked on their crazy life in Spain? 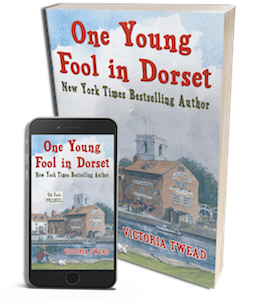 This light, charming story is the delightful prequel to Victoria Twead’s Old Fools series. 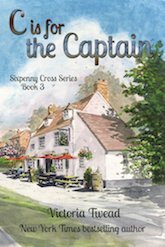 Her childhood memories are vividly portrayed, leaving the reader chuckling and enjoying a warm sense of comfortable nostalgia. Recipes compliment page after page of tales that burst with the rich vitality we have come to expect from New York Times bestselling author Victoria Twead. I have really enjoyed your books. My wife who is blind would love to know if you are going to do any of the books on CD or audible etc in the not too distant future. Thank you for the books so far. 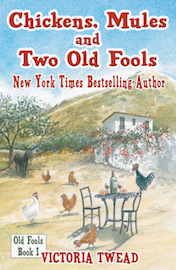 I just read your book “Chickens, mules and two old fools” on Kindle and I really enjoyed it. you made me laugh and I loved hearing about where you lived in Spain and all the people you met. Your book surprised me. Reading your book was like meeting a warm friend and I felt comfortable and invited. Thank you.